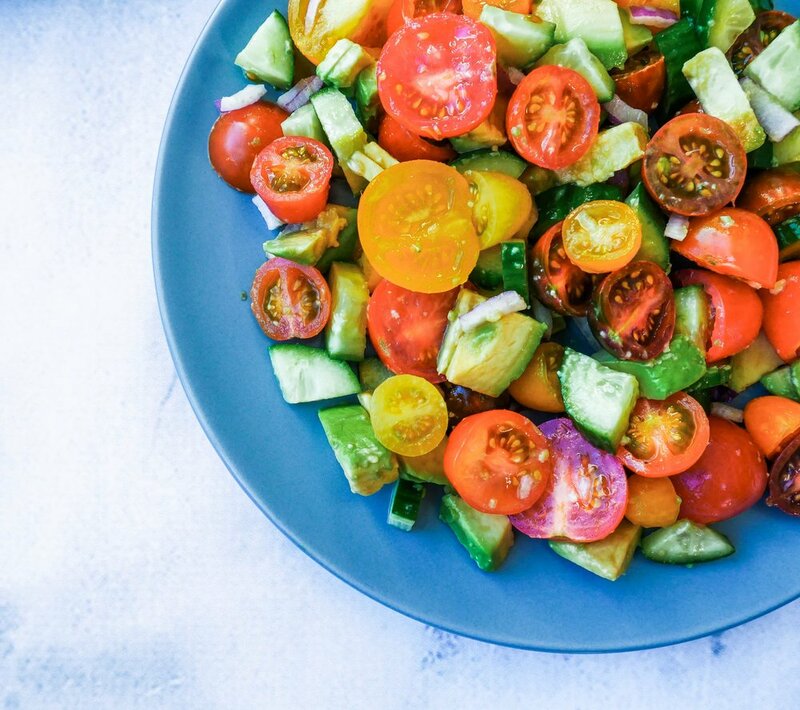 This Avocado & Tomato salad is an easy, bright summer salad. It's crunchy, fresh and makes the perfect side salad. I love the crunchy cucumber paired with the creamy avocado, topped with a tangy dressing. To make the dressing, mix together the lemon juice, olive oil, white wine vinegar, garlic powder and salt + pepper. In a large bowl, combine the avocado, tomato’s, cucumber and parsley. Pour the dressing over the salad and coat evenly. Serve immediately or store covered in the fridge.